The winners of the World Superyacht Awards 2016 were announced today (May 14). A total of 24 Neptunes were awarded to 19 yachts, one adventurous owner and one luminary superyacht owner at an exclusive gala dinner, held at the Palazzo Vecchio. 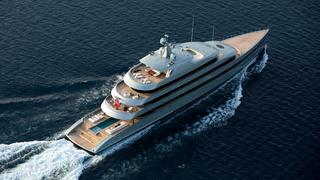 As well as honouring the finest sail and motor superyachts delivered in the last year – and naming the motor yacht and sailing yacht of the year – the World Superyacht Awards also celebrate one owner that has made extensive use of their superyacht with the Voyager’s Award and pays homage to a revered owner with the Legacy Award. The Motor Yacht of the Year Award, which recognises the very best motor yacht delivered to owners in 2015, is selected from all of the motor yacht award winners by a panel of esteemed judges. Feadship superyacht Savannah was named Motor Yacht of the Year 2016 after the judges were dazzled by her quality of design and construction that showcases a level of craftsmanship many yachts aspire to. Her propulsion system, which is the first of its type, also impressed. 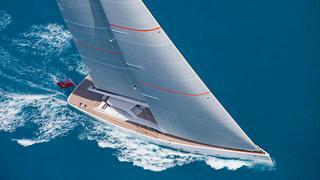 The decision for Sailing Yacht of the Year was a tough one for the judges, as the winners of the two sailing yacht classes are both considered exceptional. In the end, it was the technical innovation of Vitters’ Unfurled that nudged her to victory. The custom-designed retractable propeller pods of Frers-designed Unfurled were applauded by the judges, as was the Vitters-designed power steering system. Whilst the three Voyager’s Award finalists had all undertaken enviable cruises, it was the journey of Timmerman superyacht Latitude that took the prize. Her owner’s 11,000-mile cruise from Fort Lauderdale to Alaska, via the Northwest Passage, was exciting, adventurous, interestingly described and superbly documented. 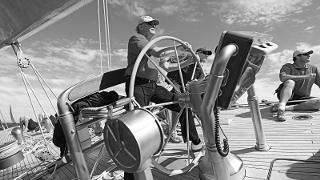 The Legacy Award was bestowed upon notable superyacht owner Jim Clark in recognition of his contribution to the world of luxury yachting. The Neptune was presented by Alice Huisman, of yard Royal Huisman, which has worked with the software mogul for over 20 years and built three remarkable superyachts with him. The biggest superyacht event of the year was held in Florence for the first time in its 11-year history, offering guests a transcendent programme of events over the weekend that included the finalist cocktail party at the Uffizi Gallery, the gala dinner and after party at the Palazzo Vecchio and Sunday Brunch the Marchesi Antinori Chianti Classico winery. World Superyacht Awards guests were also invited to join a number of tours, organised as part of the cultural programme, or create their own schedule. The Taste and Style Masterclass incorporated brunch with the Ricci family and wine tasting at the Renaissance Palazzo Antinori, whilst the Florentine Discover – Alchemy and Art tour took in a visit to an authentic bottega, witnessing the fusion of gold, that was hosted by Temple St. Clair and a private tour of the renovations laboratory at the Opificio Pietre Dure. Alongisde these tours, guests were encouraged to discover the Steffano Ricci flagship store, the Antico Setificio Fiorentino and Dr. Vranjes’ Antica Officina del Farmacista, and to visit seven shipyards all located within 30 minutes of Florence. With almost 70 yachts entered, this was one of the most hotly contested years of the World Superyacht Awards. Other award highlights include Wider’s first superyacht Genesi, which received two awards: one for displacement motor yacht of below 500GT and between 42 and 46.99 metres and a judges’ commendation for technology, after the panel was wowed by her beach club and innovative propulsion system. See a profile of each winner in our gallery of World Superyacht Awards 2016 winners.